EAST VILLAGE, Manhattan (WABC) -- A popular burger chain will go cashless at a new branch in Manhattan when it opens later this month. Shake Shack's upcoming new location on Astor Place in the East Village will feature a new dining experience that includes customers placing their orders through the chain's app or through touch-screen kiosks that only take credit cards. Cashiers will also be replaced by "Hospitality Champs" who will be posted around the kiosks to help customers place their orders if needed and step in if any glitches arise. The buzzers which alert diners that their orders are ready will be replaced by text messages sent directly to their phones in this new location. 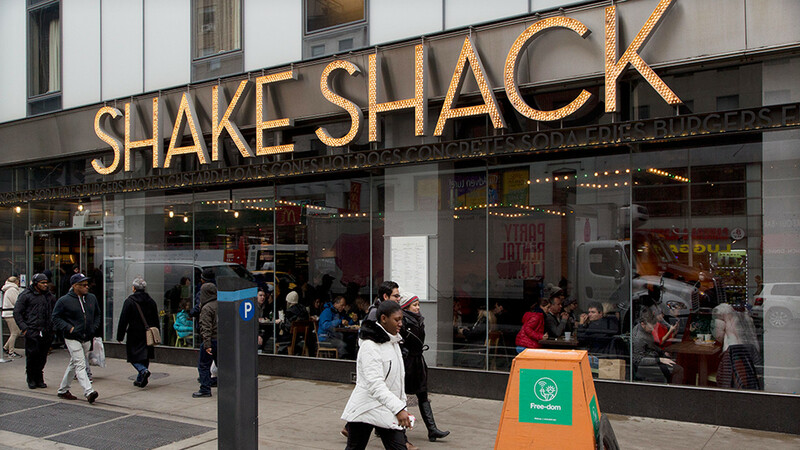 "The Astor Place Shack will be a playground where we can test and learn the ever-shifting needs of our guests," said Shake Shack CEO Randy Garutti. "We're excited to lead with kiosk-only ordering, putting control of the Shake Shack experience in our guest's hands."